PepsiCo has announced that respected CEO, Indra Nooyi, will step down after 12 years leading the food and beverage company. She will remain chairman until early 2019. The manufacturer of the namesake beverage, Doritos, Sun Chips and Tropicana said she will be replaced by the 54-year old Ramon Laguarta (left), a 22-year company veteran. He will take over on Oct. 3. 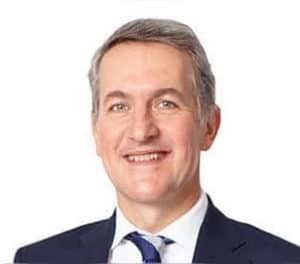 Laguarta will become the sixth CEO in PepsiCo’s 53-year history. All have been appointed from within the organisation. “Ramon Laguarta is exactly the right person to build on our success,” Nooyi said. “He is a terrific executive with a long and proven track record of growing businesses. Nooyi’s sudden departure comes at a critical time as consumers scale back on sugary drinks synonymous with the New York company in favour of products that are healthier. 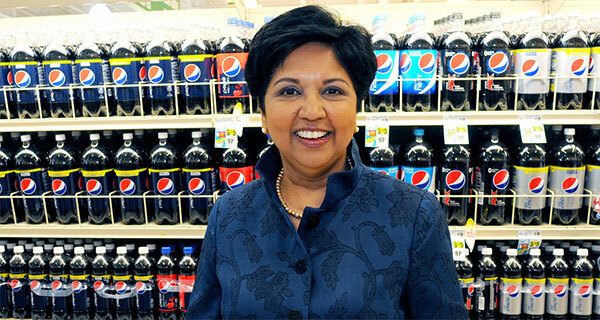 During her tenure, Nooyi has aggressively positioned PepsiCo as a dominant player in both snacks and drinks, and for the most part, she has been successful. PepsiCo has heavily depended on acquisitions to expand its reach into trendy areas, purchasing companies such as Bare Foods, which makes baked fruit and vegetable snacks. It’s also taken a stake in hummus maker Sabra and acquired probiotics beverage manufacturer KeVita, a maker of kombucha and vinegar tonics. Since she took over, net revenue at the company has grown from $35-billion in 2006 to $63.5-billion in 2017, according to PepsiCo, while generating a shareholder return of 162%. “Indra Nooyi has managed to steer PepsiCo through the turbulent waters (facing CPG comapnies) and, when she steps down, will leave a company stronger than the one she inherited 12 years ago,” Neil Saunders, managing director of GlobalData Retail, said in a statement. Despite her accomplishments, Nooyi has come under pressure for focusing too much attention on new trends and ignoring PepsiCo’s signature brands. This has prompted outside investors like activist, Nelson Peltz, to call for a split of the company’s snacks and beverage operations — a push that ultimately proved unsuccessful. Last month, PepsiCo said its focus on healthier drinks like LifeWtr bottled water have bruised performance of core brands such as Gatorade and Pepsi. PepsiCo has ramped up advertising spending on these brands. In addition to soda. Nooyi has faced challenges in its iconic Gatorade business wheres sales have slipped as consumers shifted to bottled water, tea and other healthier products. A 2016 debut of Gatorade Organic to compete with Coca-Cola’s Honest Sport failed to resonate with consumers. Bonnie Herzog, an analyst at Wells Fargo, wondered whether new leadership at PepsiCo could consider a different set of strategic options for the food and beverage giant. “We think the answer could be yes — and that this transition could open a wider door to PEP considering a variety of potential alternatives, including stepped up refranchising … or even potentially splitting up the company,” she said. PepsiCo’s decision to stay within its ranks for new leadership is a sound decision. It enables the company to build on the expertise of a company veteran who is knowledgeable about the company’s products, strategy and changes taking place throughout the CPG industry. He’s also familiar with PepsiCo’s consumers. As the public increases its snack intake, consumes more foods on the go, and turns to products that are organic, healthier and contain a slimmed-down list of recognisable ingredients, PepsiCo and other companies have taken notice. PepsiCo has a dominant position that allows it to cater to shoppers who want these better-for-you products but may also want to indulge from time to time in a can of Pepsi, Diet Pepsi or Mountain Dew. The departure of Nooyi continues the recent departure of several high-profile executives, and further reduces the ranks of female leaders in the food and beverage space. In just the last year alone, Mondelez International and Campbell Soup, previously led by women, have announced changes in their leadership.